This blog post is about KakaoTalk, Korea’s most popular messaging app. KakaoTalk is the most used messaging app in Korea, 99% of Koreans use it regularly. Since October last year it is possible to make a company page for free in KakaoTalk. The Kakao company page is comparable to a Facebook Page. You can share coupons, posts, videos and infographics via your profile. Furthermore, you can promote your page via display ads in both KakaoTalk and KakaoStory, a social media app from the same company. Mobile marketing is very simply marketing on a mobile device. Most mobile marketing consists of App Store Optimization (ASO) and advertising on messaging and gaming apps. Mobile marketing is getting more widespread, as more people use smartphones and tablets. 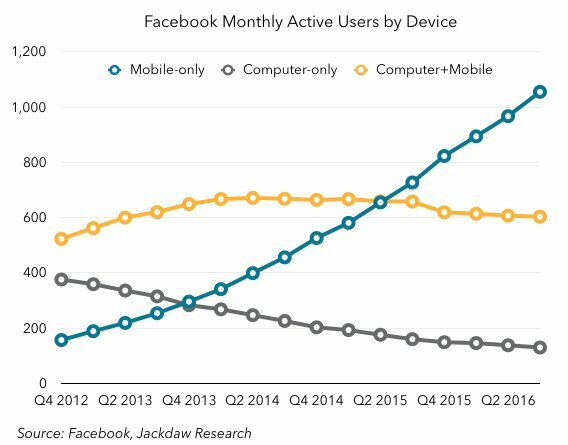 For example, more than 1 billion of 1.79 Facebook users access Facebook on a mobile device only – and the number is growing. 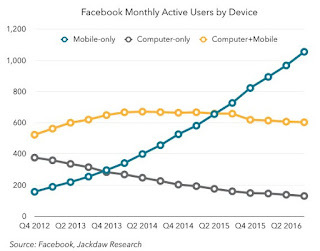 Also, 80% of ad sales of Facebook (including Instagram and Whatsapp) are ads sold on mobile devices. In Korea, mobile advertising will take over the PC ad market soon. Also, 16 percent of consumers use their smartphones for shopping. Mobile marketing may quickly replace for a large part e-mail marketing, as young people use messaging apps more and more. As a matter of fact, more people use messaging apps than social networking apps (3 billion vs. 2.5 billion). Furthermore, messaging app users are loyal and heavy users. In China, people use messaging apps more than search engines. In Korea the biggest messaging app is KakaoTalk. The company that makes KakaoTalk is Kakao Corp. Kakao merged with Daum, search engine and portal and is partially owned by Tencent from China. KakaoTalk has 150 million users and is used by 93% of the Korean population. In 2015, it had a revenue of 932 billion won and net income of 77 billion won. Besides KakaoTalk, Kakao Corp has a lot more apps. For example, KakaoStory (social media), KakaoMusic, KakaoGroup, KakaoTaxi (ride-hailing), KakaoDriver and numerous games. Even a hair salon-booking app is part of its portfolio. This is all to tap into the online-to-offline, or O2O, sector. The Korean O2O sector is expected to grow from 15 trillion won 2015 to 300 trillion won in 2017. Kakao generates most of its revenue from games and music (through its cooperation with Loen). 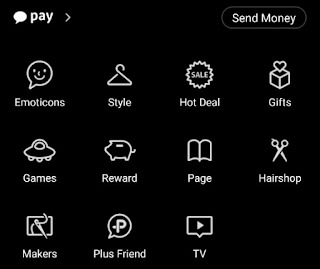 How can businesses benefit from Kakao? 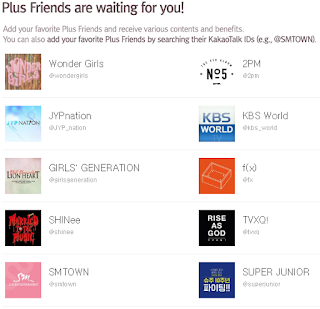 As a brand, you can become a “PlusFriend”. These can be airlines giving you the latest promotions or customer service like your boarding pass. Or, K-Pop bands like you can see below. Packages for Plus Friend can include paid messages and banner ads. 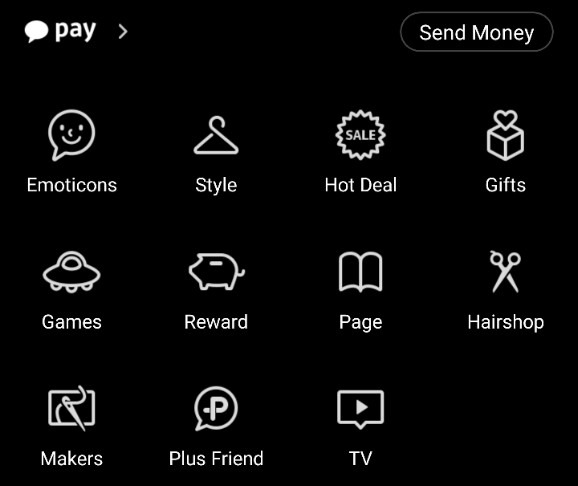 Also, Kakao offers payment services. For SMEs, there is Yellow ID. Line is a messaging app made by Naver’s Japanese office. It has 600 million subscribers, making it the third messaging app in the world behind WhatsApp and WeChat. WeChat, from Tencent in China is considered the most progressive messaging app. For example, more people in China use apps for mobile payments than in the United States. Also, there are mobile peer-to-peer lenders. Finding lunch, ordering and paying, taking and uploading selfies can all be done with one app. Momo (a dating app), drones for delivering products and QR codes were developed here first. WeChat is also open for other companies to develop with. They rely on it for new customers and payments. Every user generates 7$ revenue per year for ubiquitous WeChat. Alibaba, Baidu and Tencent are China’s biggest technology companies. fifth part (social media / SNS).